I have a sliding scale for what makes me squick. I recently found that I have a hard limit about romances between young women and father’s best friends/stepfathers. Can’t do it. I just won’t read it. That is a full ten on my squick scale. Babysitter and older man with/without kid, meh--it’s a three-ish until it gets predatory and crosses the line into nasty creepy. Eighteen is a rather arbitrary age of consent since it’s only one day’s difference from seventeen. And call me rigid these about these things, I have hit the age where I recognize the huge margin of maturity exists between an eighteen year old and thirty something. If you can’t see that margin then you might really like this book. For Remy there has been one crush to end all crushes in her brief life, she fell for her neighbor Deacon when she first discovered boys. The fact that he was twelve years older than her tender age of thirteen didn’t matter to her when she dreamed of him sweeping her off her feet and telling her he loved her too. 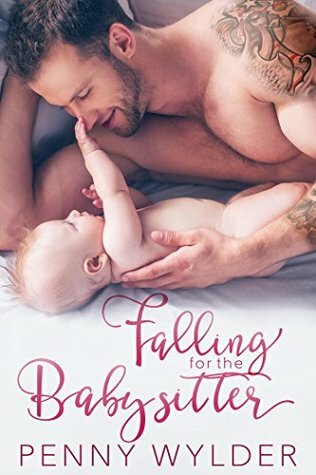 When he returns home five years later his marriage has fallen apart, her dream guy now has a baby and she’s no longer underage. She’s eighteen and still has stars in her eyes. From the way the story reads I honestly have to admit that the dynamic between Deacon and Remy isn’t so much creepy as ill-advised. I think the sympathetic angle comes into play when you think about how much of a hit to the ego and heart a guy takes when he untangles himself from a crappy relationship he’s devoted his best years and intentions to. I think Deacon would be that guy that comes out more enlightened but a little stunted in emotional growth. He knows Remy has always worshipped him and now she is all grown up, beautiful, willing and there. He’s not preying on her so much as he is using her as a life preserver. But Remy’s character is still very much a girl. She thinks like a girl about relationships. She is playing house where she is the mommy and her dream boy is the daddy. She wants to be what he needs and she makes that foolish step into womanhood that grown ups consider the consequences of beforehand. Next thing she knows she has to grow up fast to make the bed she has slept in. I lost much of the levity and romanticism of the book because the concept and theme borderline a trigger for me. I will throw out a word of caution that the trigger is there. But also say that the story itself isn’t mishandled in a way that encourages anything truly alarming. Sign into Goodreads to see if any of your friends have read Falling for the Babysitter.